The kids got a 10 day fall break, so Kurt started looking for a “Gite”(french word for vacation cottage) in Germany so we could go on our first trip in Europe. It had to have internet so Kurt could work and wanted to be able to visit Neuschwanstein, a concentration camp (Dachau), and Salzburg, Austria. Kurt looked on line for a week but could not find anything in Germany for under 800 euros. Finally, he found a place just outside of Salzburg for 400 euros with internet so we rented it for a week and off we went. Our first plan was to see the Astronomical Clock in the Notre Dame in Strasbourg, France, on the boarder of Germany. We got up at 3:00 in the morning (of course it was only 3 hours after I had gone to bed and Kurt did not go to bed…typical!) We needed to be in Strasbourg by 12:00 when the clock would go off and the apostles would come out of the clock and move around. We gave ourselves an hour extra to get there. We did not plan on the hours worth of traffic in Paris at 7:00 am on a Saturday! We arrived in Strasbourg at 11:50 am. We parked and as we were running through the streets to get to the church we heard the bells ring….we had missed it! Nine hours of driving in the car and we missed it. Oh well, we climbed the church tower to the top of Notre Dame de Strasbourg(by the way it is just like the Notre Dame de Paris…weird) The view was beautiful and our legs were tired, that was a lot of stairs. 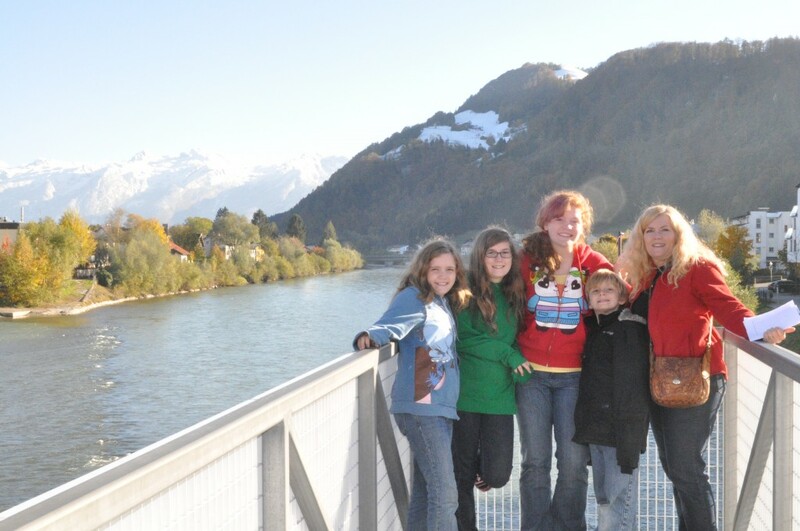 We crossed over the boarder into Germany and….nothing. No one checked our passports or anything. We were really hoping for something but since the European Union there is free travel between countries when you are driving. You only need the passport when flying. Anyway, we got onto the Autobahn and witnessed the unlimited speed limit. We would be traveling between 130 and 140 kilometers per hour(83 to just over 90 miles per hour) and cars would fly past us like we were standing still. Our car would move because of the speed they were traveling…it was insane. We arrived in Austria about 8:30pm and we could not find where were staying. We did not understand the address. 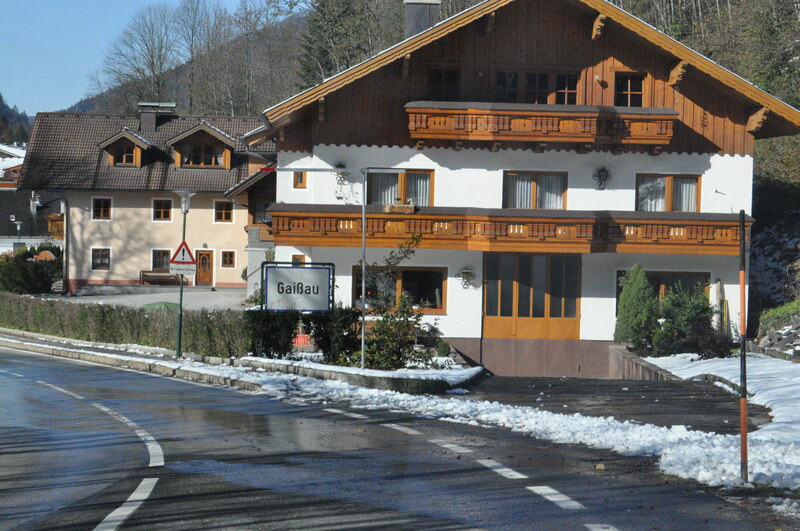 We drove up into the mountains(the Alps) into this little dark town. Kurt knocked on a door of someones house, they did not speak English and Kurt only speaks a few words of German. They told us to go down into the little town and ask. Now, we had stopped in Germany and everyone we talked to spoke to us in perfect English, it was amazing, but in Austria, people did not speak English. So, Kurt stopped into the hotel in town and gave them the number of the people who owned the cottage and in 5 minutes they arrived at the hotel. The couple who fetched us from the hotel did not speak a bit of English either, we were wondering how were going to communicate. We followed them up the longest steepest road I have ever been on, to the very last house on the road. We were at nearly the top of the mountain! Luckily for us, the couples daughter and husband lived at the house next to our cottage and they spoke English and could explain things to us. Holger and Christina where the names of the young couple that lived in the house next to the cottage. They were so wonderful to us along with her parents, they added to our enjoyment of our trip. It is so wonderful to meet kind, gracious people from all over the world…wonderful! The next day was Sunday. Church was of course wonderful. In the Salzburg ward they had head sets and a missionary translated. He was hysterical, he would say something and stop for a while and then start again, it was like he forgot he was translating or he was day dreaming. The members were great, as always, we also met a couple on a mission from Prescott, AZ. I met a young man who went on a mission to Tempe, AZ, he is Austrian and he served the same time a my son-in-law Eric and he knew him….small world. We did not have time or room to buy groceries Saturday night so we had to buy groceries at a gas station convenience store. 60 euros later we had enough food for the day! That night Holger came to the Gite and told us that he had bad news….10 inches of snow was coming that night and we had to park our car at the bottom of the hill at Christina’s parents house. Christina would drive us down to our car in the morning if we needed to go anywhere. Well, this was not bad news to us and especially our kids. They were so excited it was going to snow! By morning there was only about an inch of snow. We decided we only had to get food and gloves. By the time we got back the snow was really starting to come down. 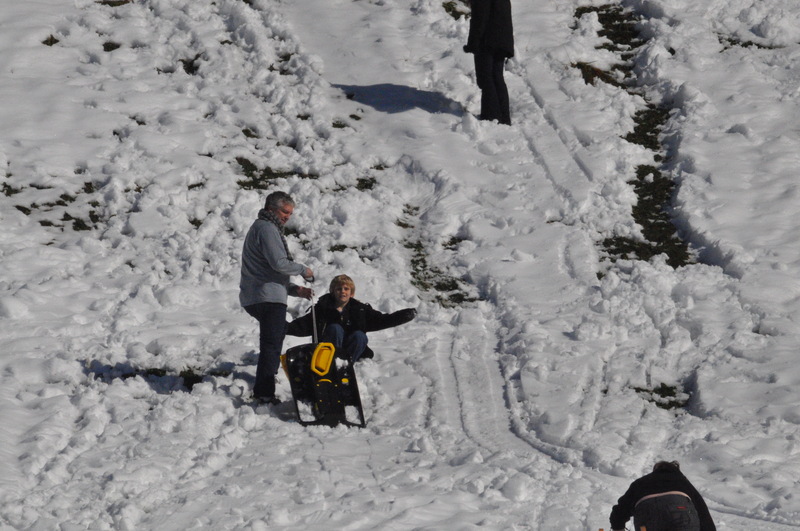 Christina brought over three regular sized sleds and three of these cute tiny sleds. We all had a blast playing in the snow. One of the nicest things was that after we had played in the snow for a while and we started to get cold we could go into the house and warm up and then go out again. We probably did this 5 times that day. 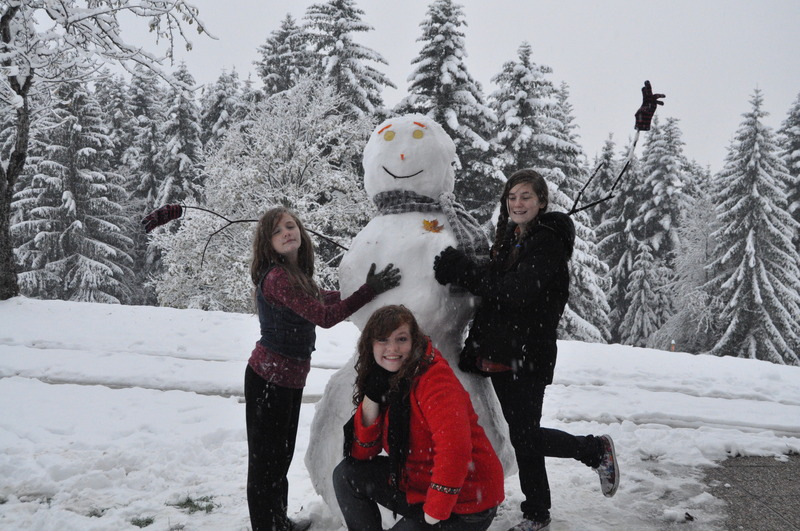 Just before dark we made a huge snowman! 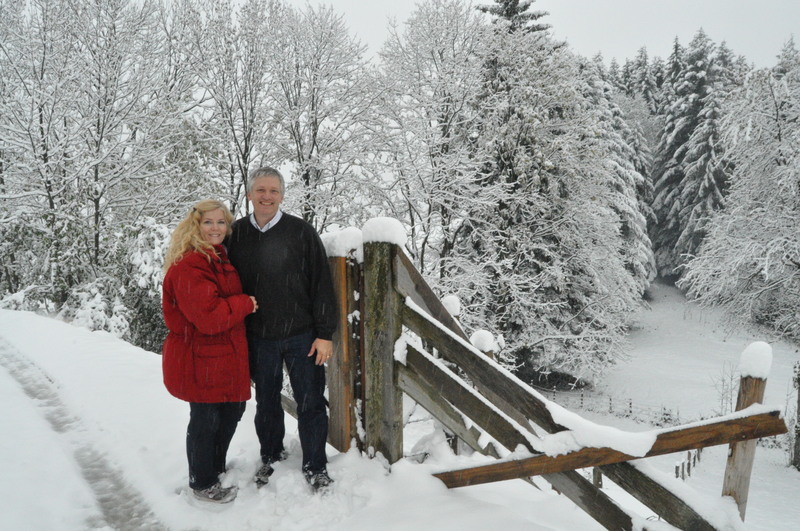 Tuesday we drove to Dachau, Germany. It was very important to me to see this sight, but there is no way for anyone to really capture how horrible this place was for the prisoners. 10 YEARS!!! this was a concentration camp. I was supposed to accommodate 6000 people and when the Americans came there were 30,000 prisoners. I am amazed what a human is able to withstand, I am not sure I would have survived. Not an “amusement park” day, but important! Wednesday we just relaxed around the Gite. We were worn out from traveling to Dachau. Late in the afternoon we went to visit the Silent Night Museum. 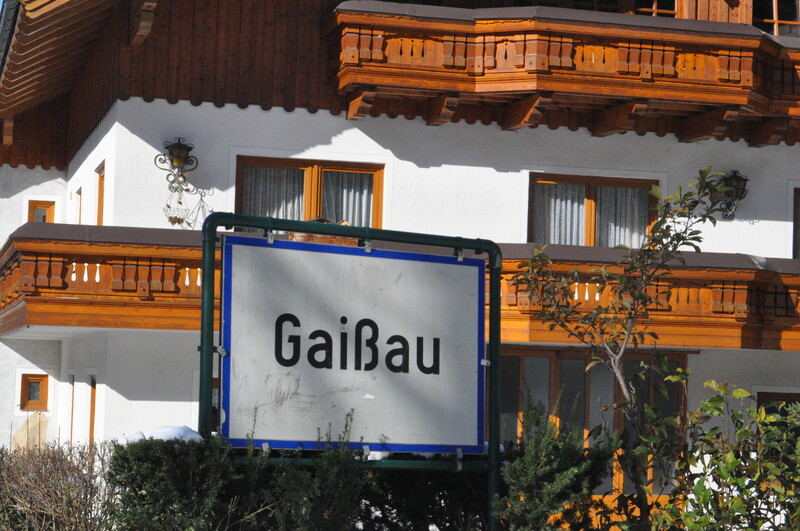 It is actually the home of Franz Gruber, the composer of (along with Joseph Mohr) Silent Night. It was a cute little museum tucked into a small corner of the town of Hallein, a town just up into the hills near Salzburg. 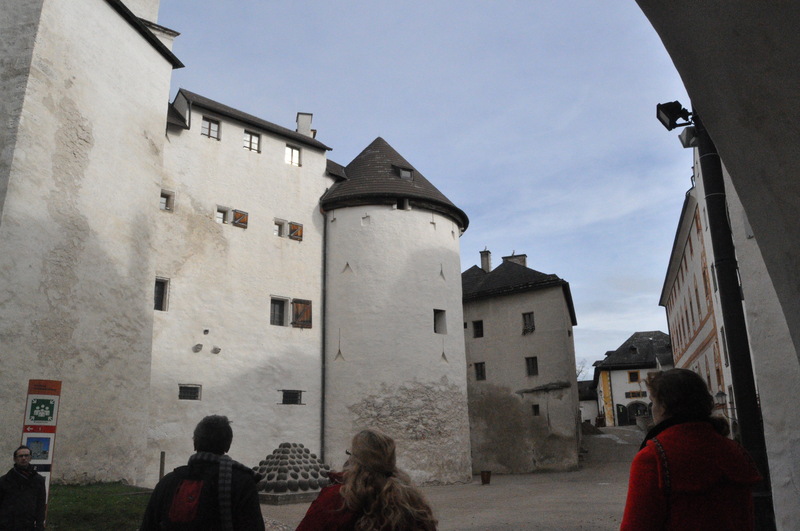 We drove through Hallein everyday on our way to everywhere. It was a beautiful cold day, we took this picture over this river that ran through town, just a short walk from the museum. 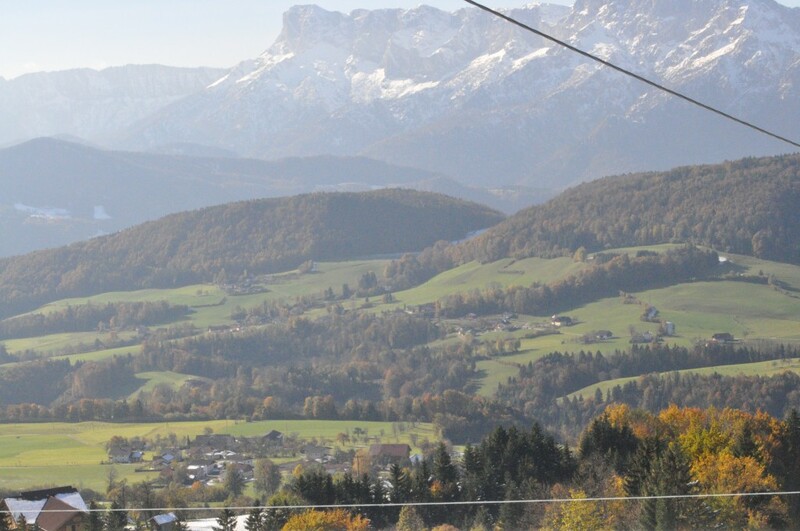 This is a picture from the car on the way to Hallein. 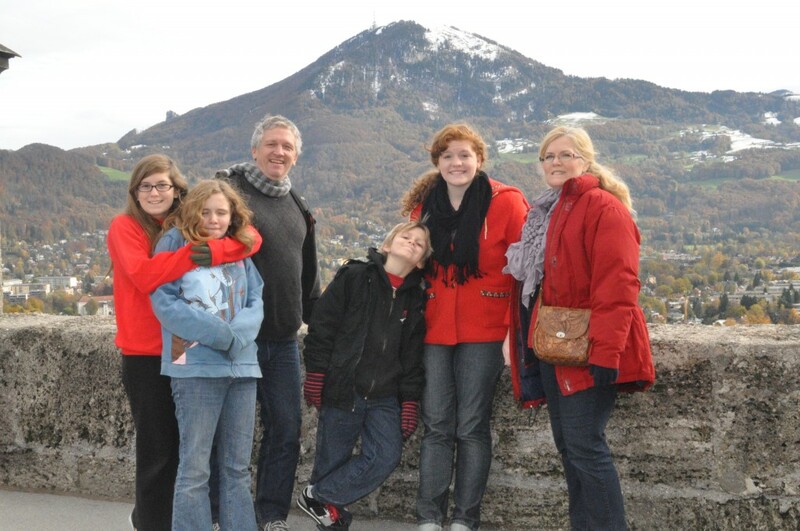 Thursday we went into Salzburg. 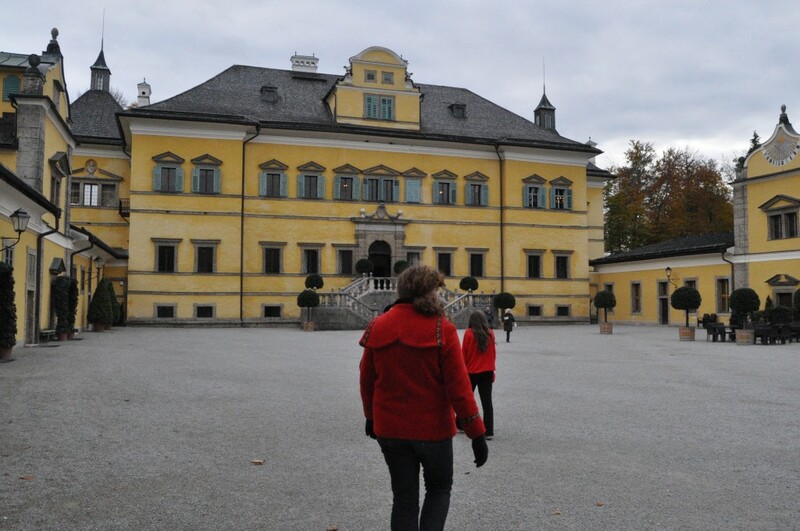 We to Hohen fortress in the middle of Salzborg. It is high on a hill and overlooks the whole town. 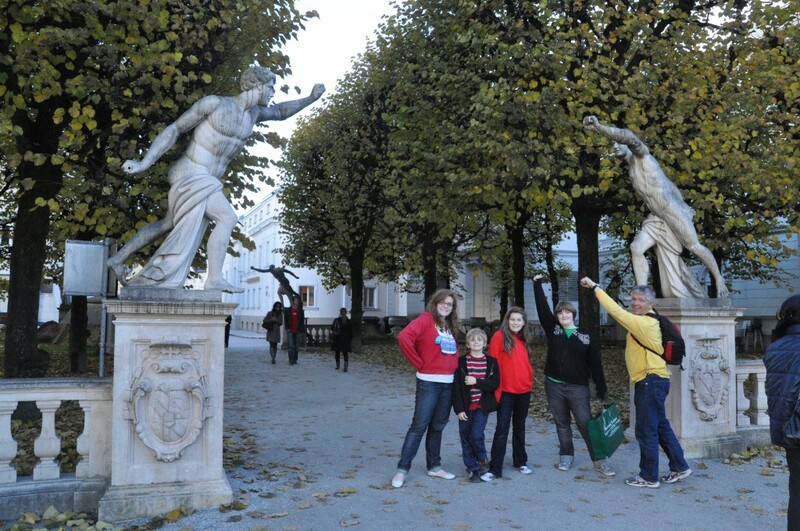 Salzburg is one on the most beautiful cities I have ever seen. Everywhere you look it is absolutely beautiful. Next we visited Hellbrun. It was a villa built by some prince in the 1600’s. 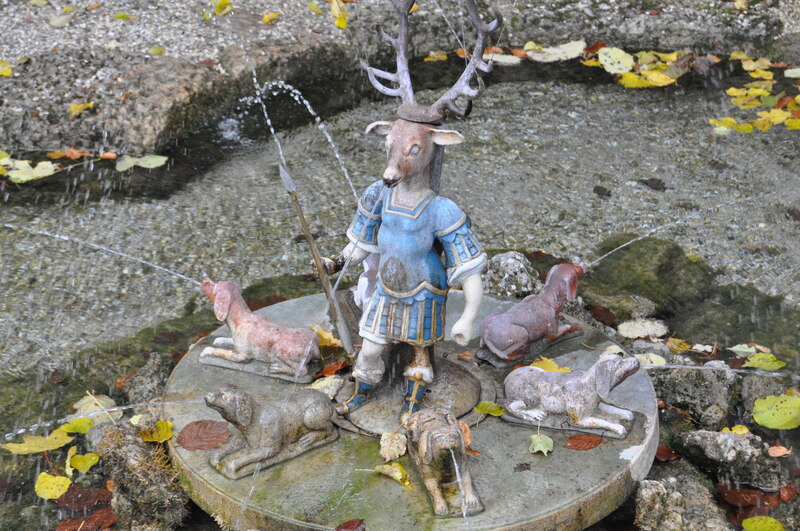 It is really fascinating because of the amazing fountains that the Italian designer created 400 years ago. Where the house was situated near a natural spring they were able to create energy to make these amazing fountains. 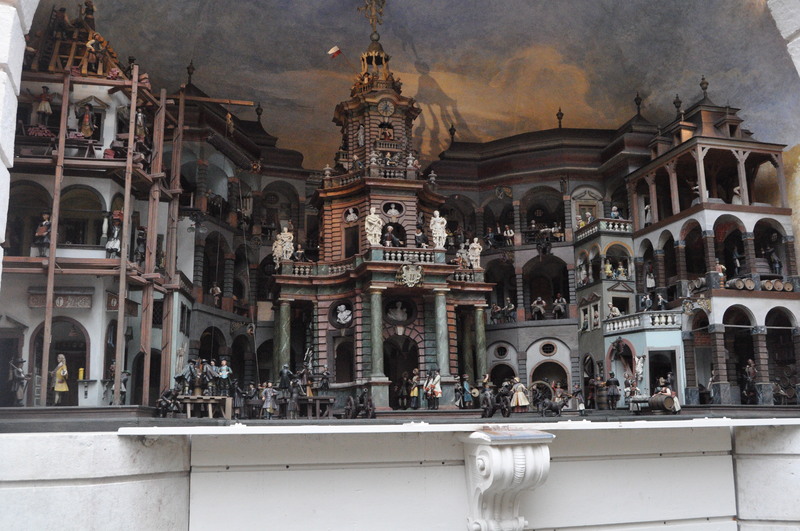 This guy built a theatre of miniature characters that would move around on the stage caused by the flow of water. 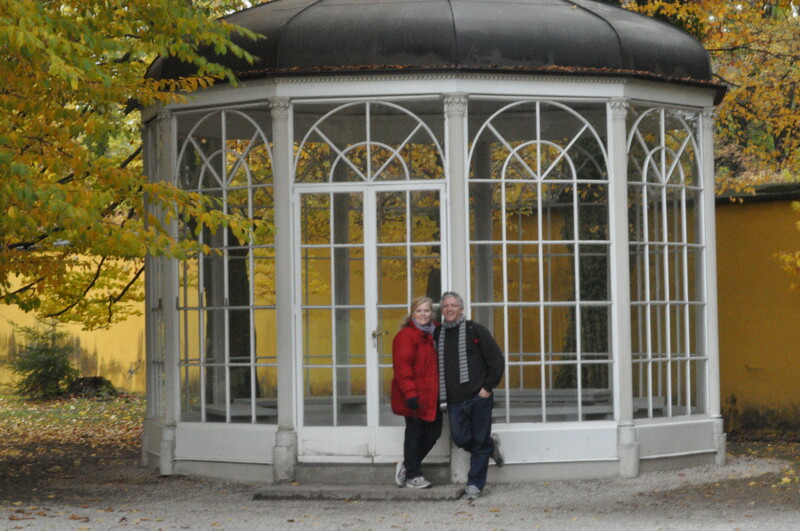 This is a picture of the Gazebo that was used in the Sound of Music movie. It was moved to Hellbrun so people could visit it. Hellbrun has an enormous public park that surrounds the Villa, it is beautiful. 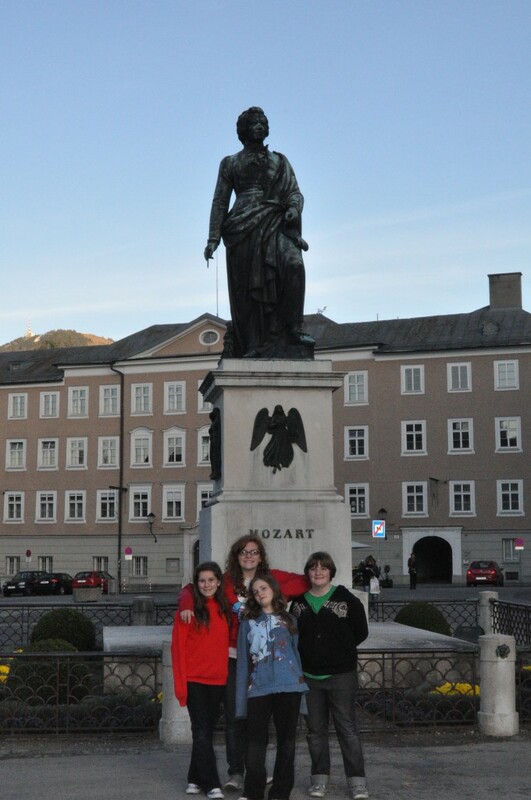 Friday we went back to Salzburg to see the Red Bull Hanger 7 and Mozart’s birth place. 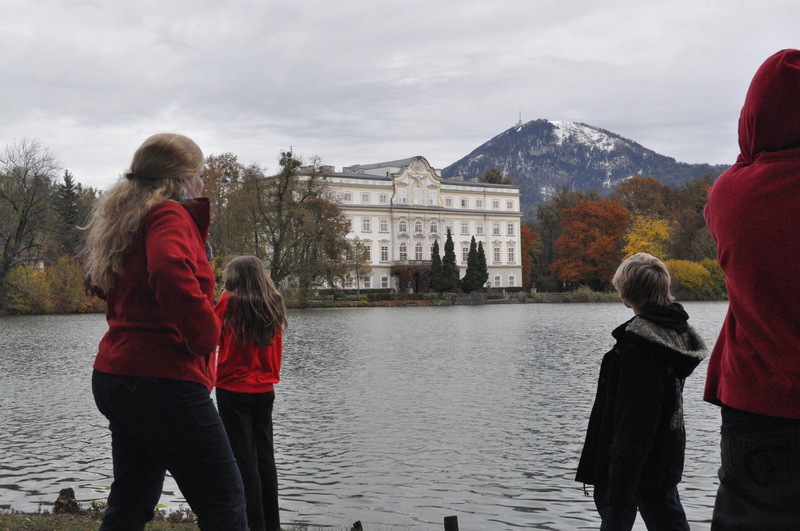 Another dreamy day walking around Salzburg with our kids. This is the park where the sound of music was filmed. Oh course, beautiful! This is the Sound of Music house. I really does have it’s own private lake. Amazing pictures Kim & I am really enjoying reading about your adventures. Thanks for sharing! !